Drew Murray, is a magician, creator, artist and more. Based in Columbus, Ohio, he has become the top choice for event planners and companies looking to make a memorable impact. His ability to connect guests and superior understanding of people, has taken him across the US for literally thousands of performances. A graduate from the Ohio State University, he is deeply interested in human interactions and experiences. Utilizing this through his performances, Drew knows exactly when and what to deliver. He knows what keeps people engaged and excited. This powerful skill paired with sophisticated sleight of hand, allows him to put his clients and their events far above the rest. Joe Lyons was born in Minot North Dakota at a very young age. Before he could walk Joe was roller skating across the room...a show that ended with a bang. Joe still proudly wears the scar on his forehead and will share the story whenever asked. After learning to walk, talk and tie his shoes, Joe started studying magic, dance, and theatre arts. The Floorwalkers were voted best band in Columbus three years running with an appeal rooted in a diverse style, fusing blues, rock ‘n’ roll, funk and soul all into the energy of a jam band. This high-octane quartet of singer/songwriters met as little leaguers on the ball diamonds of Cleveland before moving to Central Ohio, citing the Beatles, Stevie Wonder and Aretha Franklin as influences. The Happy Hour series continues at Ale House 1890!! Kelly Vaughn was born and raised in the Columbus, Ohio area. As a child she learned to play piano and guitar. Most of her life was spent around horses. Kelly was a professional horse trainer for over 20 years. It was not until after losing her mother to cancer in 2010, as well as a series of other difficult life events, that she found herself reconnecting with her guitar and began writing music. In July of 2014, she made the decision to pursue music full-time. Chamber Music Classics: A new Generation! 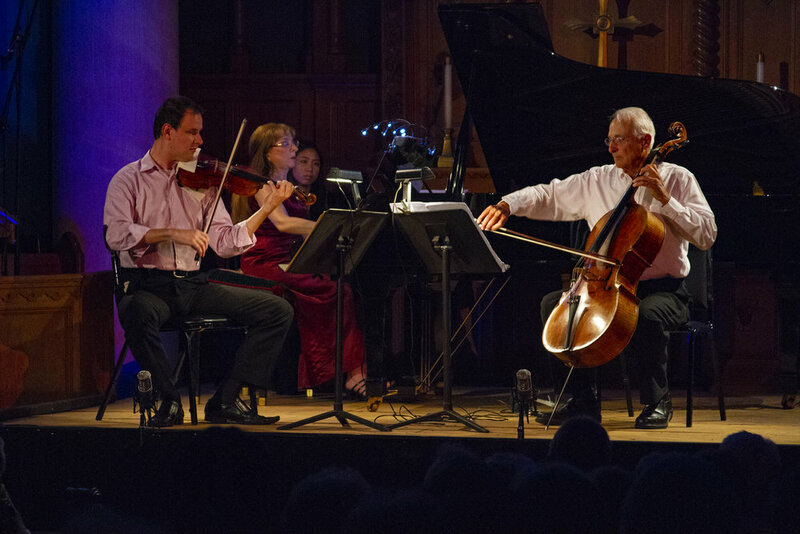 Four brilliant young orchestral fellows join the timeless Generations Trio for an exciting evening of musical discovery. The beloved Generations Trio passes the torch to a new generation of musicians, this summer's 4 brilliant orchestral fellows. Following a solo work performed by all, the 7 marvelous musicians come together to perform the rarely heard Septet by Hummel, in a wonderful arrangement by Judith Lynn Stillman.